​"One of the India's most revered and celebrated musicians. Baiju Dharmajan is a guitarist, producer, composer and music director widely recognized for his unique ability of seamlessly blending overtones of Carnatic Music with Rock." Thrilled to be back assisting the God of Small Strings Baiju Dharmajan after years of promoting the Guitar Virtuoso as a member of Motherjane and now as solo artist with his own band looking forward to sharing his musical genius with the world ! Learn more by visiting Baiju Dharmajan Main Site. ​Music life wrote: “A flawless fusion of Carnatic music (a system of music commonly associated with the southern part of the Indian subcontinent) and rock ‘n’ roll. And what it does is it takes the listener to a brave new world of power chords and mystical machine gun solos that is mind-blowing and numbing –both at the same time.” Read Article. 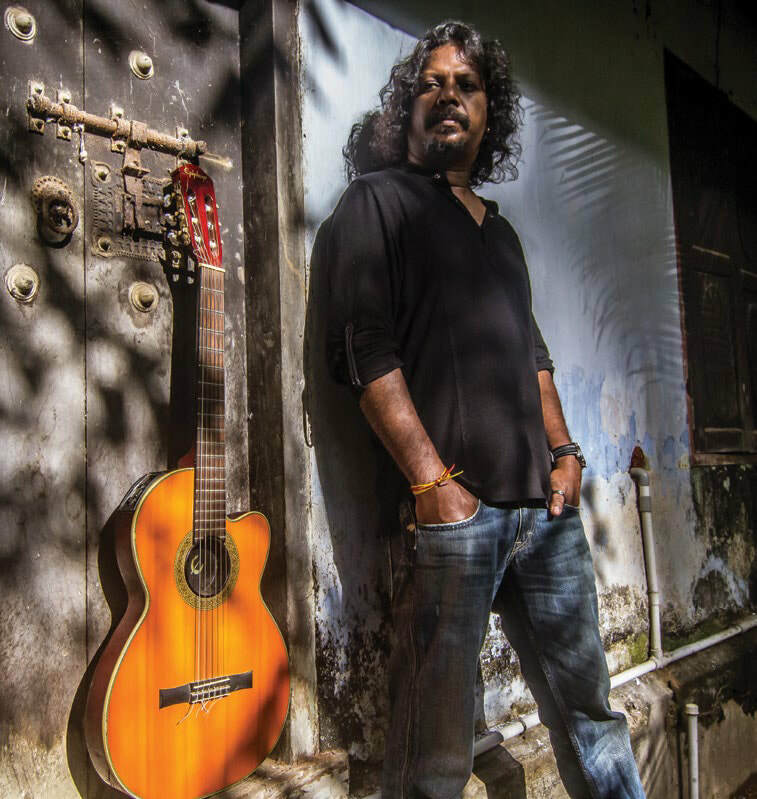 FWD gets in conversation with guitar virtuoso Baiju Dharmajan, the string whisperer. "Almost four years ago, while straying online in search of some interesting music, I stumbled upon ‘Sacred Science’ – a track that blends Njeralath Harigovindan’s sopanam with Karsh Kale’s percussion, bridged breathtakingly by the tone of Baiju Dharmajan’s guitar. Being a three-time winner of the Jack Daniel’s Annual Rock Award in association with Rolling Stone India. For over a decade that he worked with Kochi-based rock band ‘Motherjane’, but has most remained as an independent artist. Baiju who started his life as a performer when he was five, has jumped genres and borders, while staying loyal to the heartfelt music he creates. Currently, he leads the music of ‘Baiju Dharmajan Syndicate’ – a four-piece carnatic rock band. Walking into his jam room gave me a cultural shock. Drum sets and guitars camouflaged into the walls of a worn out centenarian home that screamed metamorphosis. Birds chirping and the afternoon breeze in-sync with Baiju’s strumming seemed like poetic justice. Read Article. Read the Story of Sweet Indian Child of Mine featured in Classic Rock Magazine.